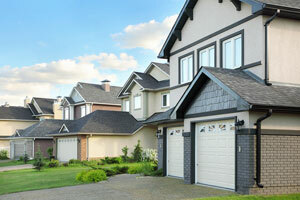 Is the garage door of your Indianapolis, IN, home an eyesore? Or, perhaps it’s in decent enough condition but better reflects the aesthetics of the previous homeowners? Whether your garage door has a negative effect on your home’s curb appeal or simply isn’t a style that you would have chosen yourself, the experts at 31-W Insulation can help you find its perfect replacement. Regardless of your aesthetic preferences or demand for specific features, our highly experienced team can help you choose the perfect garage door for your Indianapolis, IN, home. And, we can help you choose the ideal products for many of your other home improvement projects. In addition to garage door systems, we also install simulated stone siding, shower surrounds, fireplaces, gutters, attic insulation, and custom closet shelving among many other products. To learn more about our services and to receive a free estimate for your new garage door, contact us to schedule a complimentary consultation.